Sustainability is a very dynamic and fast-paced field. This is further complicated by the Volatile, Uncertain, Complex and Ambiguous (VUCA) global challenges shaping and informing sustainability practices in different contexts.A recent fundamental change to the sustainability landscape is the global emphasis on meeting the United Nations Sustainable Development Goals (SDGs). Professionals in this space are required to make sense of these developments, and strategically reconcile the demands of sustainability with the quest for enhanced organisational performance. This dynamic three-day programme will further equip you to strategically deal effectively with these challenges. The programme also includes a delegate dinner (Day 1), a networking event (Day 2), and a 12 month periodic consultations with faculty as you implement self-chosen goals from the programme. The Advanced Sustainability Programme is underpinned by latest academic studies and industry practices in the field. 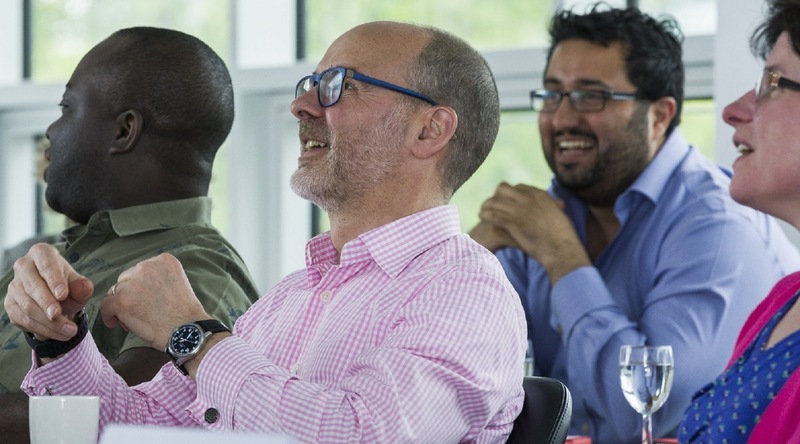 The aim of this programme is to keep professionals in this area and those interested in sustainability abreast with cutting-edge research findings and practical insights, from leading organisations and practitioners, to enhance organisational performance. It will help participants understand and drive organisational change and development along the lines of sustainability both within their organisations and in the markets in which their organisations operate. It is recognised, supported and endorsed as best practice by leading professional bodies. Below you will find out more information on this dynamic 3-day programme. If you are interested in attending and would like to register your interest, or have someone call you back with further information, then please use the link just below this introduction to register your interest and or request a personal call back from Professor Kenneth Amaeshi. Kenneth would be delighted to provide you with further detailed information and answer any questions you may have. ASP is targeted at people with extensive sustainability experience. It would be of specific relevance to experienced professionals in the following areas: corporate sustainability, responsible investments and sustainable finance, corporate strategy and governance, corporate secretariat, environmental management, risk management, innovation, sales and marketing, HRM, business development, project management, community engagement, investor relations, corporate relations, international development, social innovation, and public relations. Note: There is a 20% discount for the staff and alumni of the University of Edinburgh.